There has been a trend for moving toward the use of composite doors as front doors as well as back doors. 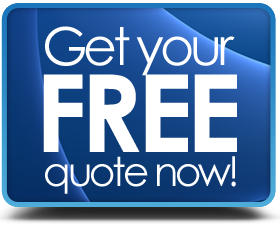 This is because nowadays there are more and more choices for composite doors available to suit all types of needs. 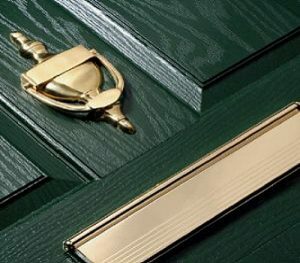 In comparison to other types of doors such as timber or uPVC, composite doors in many areas provide improved appearance, energy efficiency and security. Given the impressive looks, longevity and performance, they represent an excellent “value-for-money” home improvement. When it comes to exterior doors, more and more people are choosing to go the composite way, offering both visual appeal and high levels of security to your home. So to provide some more insight into this product, here is a 10-minute guide to features and prices for composite doors. Either of these versions can be purpose made and upgraded to “Fire Door” status. 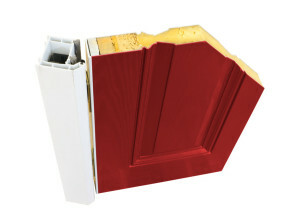 An FD30 composite door will resist fire and toxic fumes for at least 30 minutes. The frame surrounding the door (into which the door is hung), can usually be made of up to 70mm Profile uPVC with galvanised steel reinforcing. Composite exterior doors are available in a good selection of colours ranging from blue, red, oak, green, grey, red, black, white, dark wood, cream to brown (and more). This amount of choice allows you to select the most suitable to match your house décor. Unlike a painted finish (timber doors) or foiled surface (uPVC doors), the colour is not “applied” to the door. The GRP cladding is actually made completely from the colour of your choice. So no peeling or cracking of the surface is possible and colour fade is eliminated. The coloured surface itself can be smooth high gloss or textured to take on the appearance of timber. Designs include the arched, grilled, squared, angled, sunburst, solid, cottage, circular and diamond styles. These vary depending on whether it is for the front or back of your home. Composite doors have reinforced panels which deter forced entry and are great for resisting the general day to day banging & bashing that a door goes through – so the door keeps its “showroom quality” finish for longer. Fitted with multipoint locking systems that assure you of your household security at all times. Allowing you to have the peace of mind knowing that once your door is locked it will keep out even the most determined unwanted visitor. Key locks are 3 or 5 cylinder, anti-snap, drill-proof and bump-proof adding yet another layer of security against forced entry. If you have glass panels, they can be double glazed with toughened glass to the exterior pane. The heavily insulated cores of composite doors, weather seals and double glazing for any glass sections all combine to give composite doors some of the highest door energy ratings in the market. What are the major advantages of composite doors? Quickly becoming recognised as the “flagship” of new or replacement residential doors, composite designs have many advantages over their competitors. Strength – fully reinforced and highly damage resistant. Thicker – 44 to 48 mm. This makes them highly thermally efficient. Low maintenance – no painting, ever! No warping, cracking, peeling, fading. Colour lifespan – immune to sun beaching. Excellent for use in coastal homes as they have no reaction to salt water either. Long lifespan – if you look after it, a composite door can look amazing for 30 years or more. Super, life-like wood-grain or high gloss surfaces last for decades. “Secured by Design” accreditation – the most secure doors in the UK market. What is the average cost of a composite door? Composite doors combine superb visual appeal with loads of other features geared towards making your home a safer and more energy efficient place. The variety of designs available makes finding one to suit your home that much easier. Below, we have collated figures from around the country to help give you some idea of the average composite doors prices in the market. You can also find other door price guides here.